This bed rail secures to the top of the mattress for 15" of total protection. Fold down for easy bed making. 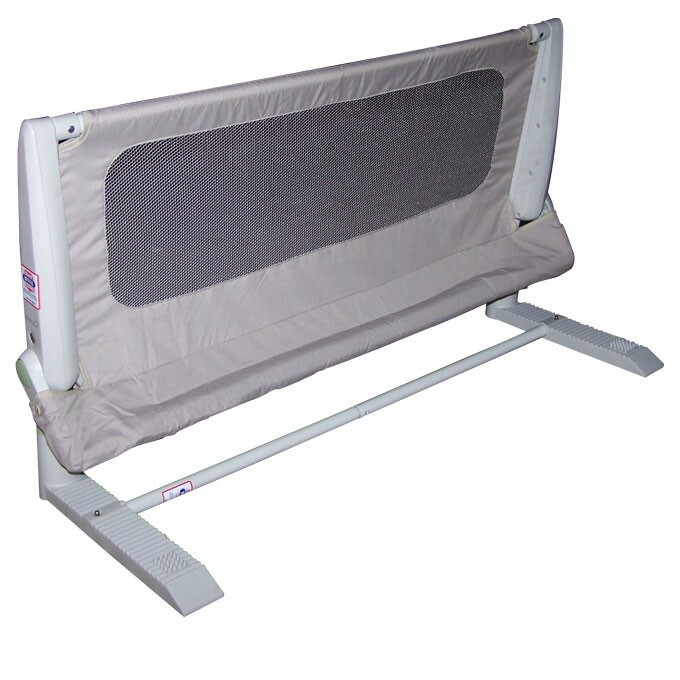 Has a foam bottom rail for complete comfort. Secure Tech indicator lets you know it's locked in the proper position.